Description A fantastic opportunity to purchase this detached and versatile family home, tucked away from the main road but also within proximity to the town which would ideally suit a large or extended family. 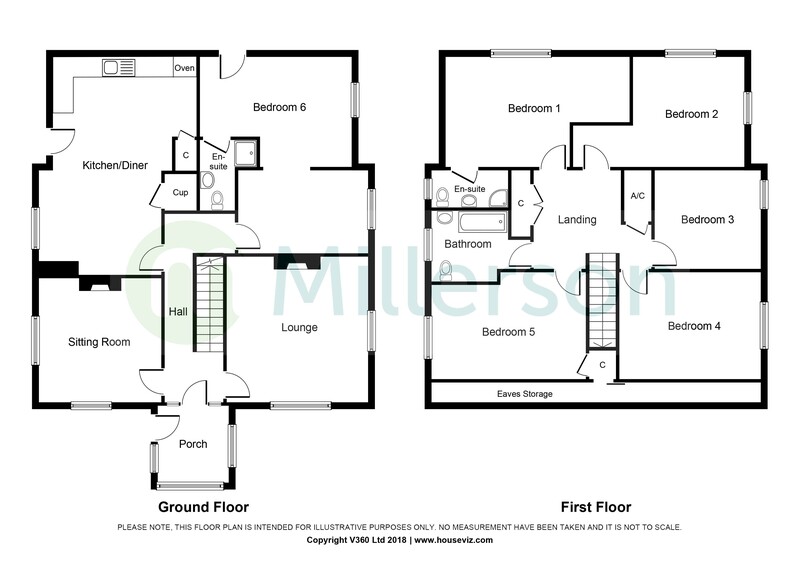 The accommodation has been extended and refurbished comprising an entrance porch, inner hall, lounge, sitting room, modern kitchen/diner, ground floor double bedroom with en-suite, a further five first floor bedrooms with master en-suite and family bathroom. Outside offers ample parking over two driveways, level lawned gardens to three sides and a range of outbuildings. The property also boasts double glazing and central heating. Viewing is essential to appreciate the size of accommodation on offer. sitting room 12' x 11' 10" (3.66m x 3.61m) Dual aspect double glazed windows. Feature open fireplace with tiled surround. Laminate flooring. Lounge 14' 01" x 13' 08" (4.29m x 4.17m) Dual aspect double glazed windows. Feature open fireplace with tiled hearth and back boiler. Laminate flooring. Kitchen/diner 21' 1" x 14' 9" (6.43m x 4.5m) A modern fitted kitchen with a range of base units and drawers under worksurface tiled to matching wall units over. One and a half bowl sink with mixer tap and drainer inset to worksurface. 'Flavel' range style triple oven with stainless steel extractor hood over. Spaces for washing machine and dishwasher. Laminate flooring. Rayburn double oven with back boiler. en-suite Three piece shower suite comprising shower cubicle with electric shower hand basin and WC. bedroom one 17' 9" x 10' 7" (5.41m x 3.23m) Dual aspect double glazed windows rural outlook. Radiator. Bedroom two 16' 5" x 10' 7" (5m x 3.23m) Dual aspect double glazed windows with rural views. Beroom three 10' 6" x 9' 6" (3.2m x 2.9m) Double glazed window with rural outlook. Radiator . Bedroom four 13' 7" x 10' 4" (4.14m x 3.15m) Double glazed window with rural views. Radiator. Bedroom five 14' 8" x 10' 1" (4.47m x 3.07m) Double glazed window. Large cupboard. Radiator . Bathroom Three piece white bathroom suite comprising bath with shower over, WC and hand basin. Double glaze window. Radiator. 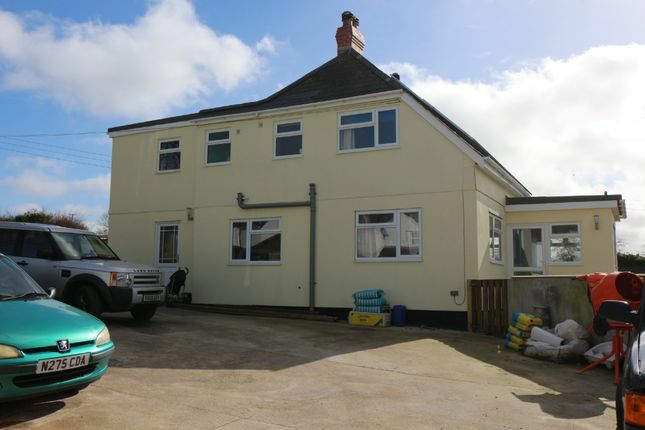 Outside The property is approached over a large driveway providing ample off road parking with a large wood store adjacent to a level lawn leading to an additional gravelled driveway and block outbuilding. The main garden is enclosed, mainly laid to lawn with a raised decked patio, timber shed which leads to a range of outbuildings currently used as kennels.